Ecological gentrification (Dooling, 2009) is a negative social process in which ecological improvements to neighbourhoods lead to gentrification and displacement of the neighbourhood’s original inhabitants. There is an analogous process of ecological gentrification at the level of ecological communities: many vulnerable ecological communities that persist (and in some cases, thrive) in urban areas are being displaced or extirpated by greening approaches that impose “standard” global designs. Whilst nature-based solutions (NBS) and urban green infrastructure (UGI) strategies have great potential to solve real urban challenges,. they must be appropriately designed and delivered if they are to simultaneously provide ecological, environmental, social and economic benefits in urban areas. When reflexively or generically applied, they risk erasing key and valuable local ecological elements. Historically, aesthetics and recreation have been the overriding drivers for urban green space (UGS) design and management. This has led to the simplification of habitats through frequent mowing, pruning of trees and shrubs, removal of dead wood and mulching (Aronson et al., 2017). Human mediated planting choices motivated by visual impact or ease of management have typically favoured horticultural cultivars over native species. These actions can diminish the value of UGS for biodiversity as it becomes characterised by a small range of introduced, frequently non-native species that can tolerate the anthropogenic conditions (McKinney, 2006 & 2008). These practices have created structurally and functionally similar urban ecosystems across bioregions, which are distinct from local native ecosystems, but are close in character to each other—a phenomenon called urban biotic homogenisation (McKinney, 2006; Groffman et al., 2014). This generic approach to urban greening constitutes “blandscaping”—landscaping that uses the same designs, and often the same species, has become a “best practice” model that has been shared and used across different urban regions nationally and globally. Whilst the current paradigm of maximising the multifunctionality of UGS should address the shortcomings of blandscaping, all too often designs focused on narrow anthropogenic ecosystem service needs (e.g. aesthetics, stormwater management, etc) have perpetuated this approach. There is still a prevailing assumption that UGI and NBS will automatically support biodiversity conservation goals by virtue of being green. In our experience of surveying such landscapes, this is not the case. Homogenisation and simplification of habitats through blandscaping has segregated natural communities, enabling urban exploiters/generalists to proliferate and marginalising habitat specialists (urban avoiders) that tend to inhabit more natural sites within the urban matrix (Blair, 1996). Invertebrates (a vital but all too often overlooked group) are particularly prone to the loss of natural habitat in urban areas. Whilst studies have linked the use of exotic planting choices with benefits for certain pollinators (Salisbury et al., 2015), the use of horticultural cultivars over native flower species has also been linked to a reduction in the forage value for native pollinators generally (Bates et al. 2011; Salisbury et al., 2015). This manifests in considerably (40-50 percent) fewer visits to exotic flowering plants, compared to native and near-native species, with even the more generalist groups such as honeybees and short-tongued bumblebees favouring native over exotic plantings (Salisbury et al., 2015). The urban story, however, is not as simple as merely providing native plants as part of UGS design. Structural complexity and, crucially, the juxtaposition of all of a species' complex life cycle requirements over suitable spatial scales is also critical. Once the fragmentation between these habitat features becomes too great within a landscape, these species are no longer able to persist (Glaum et al. 2017). This pattern has been repeatedly demonstrated in urban areas. Urban gardens have been found to sustain only large populations of a small group of ubiquitous and generalist butterfly and bumblebee species, with specialist species being confined to less disturbed semi-natural habitats (Cameron et al., 2012). A study of butterfly species richness in ruderal sites and traditional and semi-natural parks found local habitat quality was more important than patch size (Öckinger, et al. 2009). Overall, patterns from such studies have revealed that more specialist species with more complex habitat requirements are more likely to show a negative response to urbanization (Bates et al., 2011). So, should we assume that these specialist communities cannot persist in urban areas and focus our conservation efforts on urban exploiters/adapters? Quite the opposite. If suitable quality habitat is available, urban areas can provide an oasis for many of these specialist species that are being squeezed out of the rural hinterlands by intensive agricultural practices that have degraded and simplified swathes of non-urban habitat (Baldock et al. 2015). In fact, because most UGS is not subjected to the intensive levels of management and pesticides used on farmland, urban areas can support locally, nationally and even internationally important biodiversity that is struggling to persist in the wider countryside. Cities and Biodiversity Outlook presents an interesting global overview of the rich biodiversity that can occur in cities (SCBD 2012). From a more local perspective, post-industrial sites in the urban fabric of London and the Thames Corridor region of the UK exemplify this potential. Despite being labelled as “wasteland” (implying a barren or vacant area of little value), post-industrial “brownfield” sites represent a uniquely urban form of “wilderness”, with the capacity to support diverse natural communities of great value for nature conservation (Gilbert, 1989). The term brownfield refers to previously-developed land that has been abandoned or become unused, and many of these sites are spontaneously inhabited by natural communities. In contrast to traditional green spaces, lack of regular management allows flower-rich, structurally diverse habitats to establish supporting abundant biodiversity. Brownfield sites with heterogeneous edaphic conditions can develop unique habitat mosaics. This mosaic can provide the juxtaposition of “microhabitats” so valuable for many invertebrates (Gibson, 1998; Bodsworth et al., 2005). The microhabitats within brownfield sites have been found to function as analogues of natural/semi-natural habitats such as meadows, saltmarsh and chalk grassland that are declining or have become degraded in the wider landscape (Gemmell & Connell, 1984; Eversham et al., 1996; Eyre et al., 2003). Widespread depletion of natural habitats has forced many of the species that inhabited them to relocate to avoid extinction. Whilst the surrounding landscape can offer a variety of opportunities for generalists, many of the specialist species of natural habitats can only find suitable homes within these urban brownfield mosaic analogues. An example is the ground beetle Scybalicus oblongiusculus, which historically inhabited specialist coastal habitats, but is now critically endangered in the UK and is confined to brownfield sites in the East Thames Corridor region that offer analogous conditions. Despite recognition of the importance of brownfield sites for these increasingly marginalised, conservation priority communities, planning policy in the UK targets brownfield for redevelopment to house growing human urban communities (Harvey, 2000; Roberts et al., 2006; DCLG, 2012; Robins et al., 2012). A chief justification for this approach lies in this perception of brownfields as “waste”land; as brownfield sites are often a legacy of the deindustrialisation of an area, their presence may be inextricably linked to socio-economic problems such as unemployment, deprivation and degeneration, and they are often perceived as a blight on the urban landscape. Their redevelopment therefore is seen as an opportunity for urban regeneration and renewal but, if not carefully planned, this process can perpetuate gentrification by acting as a catalyst for increasing property prices (Bryson, 2012), displacing vulnerable low-income residents. A parallel ecological gentrification also occurs to biodiversity associated with these sites. When brownfields are redeveloped, typical mitigation comprises ornamental or structurally simple landscapes and generic green roofs, with the only species able to persist in these environments being the urban exploiters/generalists. Similar to the pitfalls of socio-ecological gentrification, this process of converting urban “wildspace” containing complex mosaic habitats into urban blandscaping is also often underpinned by the espousing of an environmental ethic and a belief that green (of any type) is good for biodiversity. In reality, such development, with little regard for the ecological functionality of greenspace design, could be said to represent a type of “ecological cleansing”—removing species/guilds from landscapes by removing the habitat heterogeneity that provides the range of niches and resources needed to support diverse communities (MacArthur & MacArthur, 1961). The ecological value of post-industrial sites in the urban fabric has been recorded elsewhere internationally (Dolnŷ and Harabiŝ, 2012; Kratochwil and Klatt, 1989), but these are certainly not the only urban habitats to have such value. We need to learn from these urban examples that are so rich in biodiversity, and embed that learning into UGS design though a process of mimicry. By doing so, it might be possible to avoid imposing the analogy of human socio-ecological gentrification on our urban biodiversity. Developing effective measures to recreate biodiversity-rich habitat mosaics within urban green space has the potential to deliver significant gains for biodiversity and nature conservation. Ecomimicry (locally-contextualised mimicry) of important elements of biodiversity-rich habitat mosaics could emulate their key function as anthropogenic analogues of natural/semi-natural habitats. As with natural ecosystems, the communities that develop on UGI will be a function of the niches that are created by their design. Such a habitat mosaic approach could positively contribute to the heterogeneity-diversity relationship, even at small spatial scales (Lundholm, 2009). Although they are often described as artificial habitats, or even a novel ecosystem, high-quality brownfield sites can teach us much about how to design our greenspace to provide the juxtaposition of habitat features that much of nature needs to thrive. Embedding such knowledge into UGS design in balance with art, ecology, aesthetics, and multifunctionality is now the great challenge facing NBS innovators. Pioneering approaches to this challenge can provide a vital step towards combating ecological gentrification. Increasingly, innovators are rising to this challenge with emerging techniques that deserve to be promoted and replicated more broadly. Nectar and pollen provision through floral planting is a key resource for pollinators and schemes to boost floral availability have become popular. However, unless suitable nesting habitat is provided over appropriate spatial scales so as to be energy efficient for foragers, then many species are unable to exploit this resource. Cavity nesting provision through the construction of 'bug hotels' is becoming increasingly common in urban landscaping. These designs typically follow a generic template, with the outcome often being unsuitable for target insects. But UGS design innovator, John Little, has been developing new ways to embed these features effectively into the design of multifunctional greenspace for high-density urban areas. This has included creating aculeate nest 'posts' for local schools (Figure 1) and embedding nesting cavities into the construction of small-scale green roofs to cover bicycle racks and bin covers. Examples of this can be seen as part of the Sustainable Drainage Systems (SuDS) Pocket Park at Derbyshire St in East London, UK (Figure 2). Figure 1. Bee post cavity nesting opportunities for aculeate Hymenoptera featuring holes of different diameters to cater for different species (©John Little). Figure 2. biodiverse small-scale green roof bicycle shelter as part of a SuDS pocket park in London, UK. Providing cavity nesting habitat, bird nesting and gabion cages as habitat niches in addition to the green roof (©UEL SRI). Only a proportion of aculeate Hymenoptera are cavity nesters though, with a substantial proportion being ground-nesting species. Many of these species require specific ground conditions for nesting including varied preferences for particle size, compaction, and slope angle (Srba and Heneberg 2012). There has been very little focus on nesting habitat provision for these species in proximity to 'wildflowers for pollinators' initiatives and suitable features are not typically provided by blandscaping approaches. These are, however, the types of habitats that typically occur on brownfield sites and make them such rich habitats for aculeate Hymenoptera. John has been pioneering a solution to this challenge, inspired by the brownfield habitats in the area where he lives and his experience of working with UGS in cities. His nesting planters combine nectar and pollen sources with nesting opportunities to provide a neat solution that can be incorporated into any urban area (Figure 3). Results from trials at his home have demonstrated that a number of ground-nesting species will utilise the horizontal and vertical sand surfaces for nesting, including the Red Data Book 3 species Gorytes laticinctus. The planters are now being rolled out more widely. Figure 3. Sand nesting planter. A combination of traditional floral planter (that can be planted with anything from wildflowers to herbs and vegetables) surround by sand with a perforated metal mesh to enable vertical and horizontal surface aculeate Hymenoptera nesting (© John Little). An example of embedding species-led learning into landscaping innovation emerged from a mitigation project to rescue one of the UK's rarest insects from extinction. Associated with brownfield sites in the London Docklands area of the East Thames Corridor, the last known site of the streaked bombardier beetle (Brachinus sclopeta) was due to be demolished for a new development. With no appropriate mitigation planned, this scenario represented a classic example of a specialist species being subjected to ecological cleansing through site redevelopment. A rescue attempt by Buglife (the Invertebrate Conservation Trust) and the University of East London, led to the creation of the Beetle Bump (Figure 4) on the University's Docklands Campus. The Beetle Bump is a small brownfield pocket nature reserve forming part of the landscaping of the new Sports Dock development. The Beetle Bump was designed to mimic the habitat features associated with the last site on which the beetle was found. It was created using a blend of low-nutrient, recycled aggregates sown with wildflowers typical of the region's brownfield sites (Connop 2012). Streaked bombardier beetles rescued from the development site were transferred onto the Beetle Bump. Surveys on the Bump in subsequent years revealed that, not only was the streaked bombardier able to persist on the site in the short-term, but a rich community including other conservation priority species were also utilising the habitat. The contrast with the depauperate biodiversity found on nearby traditionally blandscaped areas of the campus was stark (Figure 5). Figure 4. Aerial photo of the Beetle Bump habitat creation at the University of East London, Docklands Campus (©UEL SRI). Figure 5. A selection of the wildlife utilising the Beetle Bump's wildflower resources (©UEL SRI). Another example of taking inspiration from brownfield habitat for UGS design was the brownfield landscaping experiment at Barking Riverside, UK. Barking Riverside is a large brownfield site currently being developed for housing. The site was recognised as supporting valuable biodiversity prior to development. This included vulnerable invertebrate communities that have been displaced from their native fluvial grassland habitat due to intensive farming and development, and now rely on brownfield mosaics for a home (Harvey 2000). As part of the mitigation for the Barking Riverside development, there was a requirement to try to conserve these important communities through a combination of landscape design and biodiverse green roofs (; Nash 2017). In order to ensure that the new landscaping supported the rich array of communities associated with the brownfield site, an assessment was made of the key habitat associations of the invertebrates found on the site pre-development. These features were embedded into an area of innovative office landscaping on site which was designed by landscape architects DF Clark. This novel landscaping approach included a mosaic of habitat pockets comprising key brownfield features such as south-facing sand banks (Figure 6), deadwood piles and standing deadwood, wildflower meadows, and rubble, concrete, and metal design features (Figure 7). The landscaping was designed to marry together elements of traditional landscape design with ecologically important brownfield mosaic features. Figure 6. Brownfield landscaping Sand Bank pocket at Barking Riverside, London, UK (©UEL SRI). Figure 7. Brownfield landscaping: Nectar and pollen-rich planting combined with rubble, concrete, and metal habitat features at Barking Riverside, London, UK (©UEL SRI). The locally-attuned landscaping developed into a mosaic habitat of tall and short herbs, with bare ground, rubble, and deadwood niches. Monitoring recorded 148 plant species in just 0.5 ha of landscaping, many of which were characteristic of the region's high quality brownfield sites (Connop et al. 2014). Comparison with more-traditionally blandscaped areas of the development revealed a much richer floral and invertebrate communities on the brownfield landscaped areas (Nash 2017). This included a number of nationally rare and scarce species associated with the specialist habitat conditions found on brownfield sites in the region. It is clear that UGI and NBS implementation has the potential to affect the demography of both human and natural urban communities. Similarly to human communities, natural communities are not equally at risk to human-led urban landscape change. When greening strategies fail to prioritise inclusiveness, they can end up exploited by the privileged few, but sensitively designed urban green space could potentially benefit diverse social and ecological communities. The examples presented here demonstrate what can be achieved for specialist species if we apply ecologically-informed design principles to urban green space creation. If an ecosystem service approach should have taught us anything, it is that biodiversity has innate value beyond what we can easily understand, quantify, monetise or model (TNOC blog). NBS and UGI represent amazing opportunities to ensure that we are providing functioning ecosystems in urban areas for the rich range of natural communities on which we depend, rather than a selected elite. 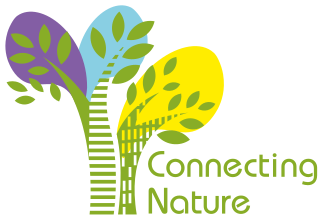 A number of new EU Horizon 2020 NBS projects like CONNECTING Nature are providing a mechanism for ensuring that these innovative solutions are rolled out on a scale to affect real change in our cities. The great challenge now for NBS innovators is to seize these opportunities to design scalable pioneering solutions that balance art, ecology, amenity, and multifunctionality. For us urban ecologists, the great challenge is to ensure that this innovation is underpinned by a deeper understanding of locally-appropriate, functioning ecosystems in an urban context, and how a mosaic approach to UGS creation can support the habitat requirements of the many not the few. Aronson, M.F., Lepczyk, C.A., Evans, K.L., Goddard, M.A., Lerman, S.B., MacIvor, J.S., Nilon, C.H. & Vargo, T. (2017) Biodiversity in the city: key challenges for urban green space management. Frontiers in Ecology and the Environment. 15(3): 1-8. Baldock, KCR, Goddard, MA, Hicks, DM, Kunin, WE, Mitschunas, N, Osgathorpe, LM, Potts, SG, Robertson, KM, Scott, AV, Stone, GN, Vaughan, IP & Memmott, J, (2015) ‘Where is the UK’s pollinator biodiversity? The importance of urban areas for flower-visiting insects’. Proceedings of the Royal Society B: Biological Sciences, vol 282. Bates, A.J., Sadler, J.P., Fairbrass, A.J., Falk, S.J., Hale, J.D. and Matthews, T.J. (2011) Changing bee and hoverfly pollinator assemblages along an urban-rural gradient. PloS one, 6(8), p.e23459. Blair, R.B., 1996. Land use and avian species diversity along an urban gradient. Ecological applications, 6(2), pp.506-519. Bodsworth, E., Shepherd, P. & Plant, C. (2005) Exotic plant species on brownfield land: their value to invertebrates of nature conservation importance. English Nature Research Report No. 650. Peterborough: English Nature. Bryson, J. (2012). Brownfields gentrification: redevelopment planning and environmental justice in Spokane, Washington. Environmental Justice, 5 (1), 26-31. Cameron, R.W., Blanuša, T., Taylor, J.E., Salisbury, A., Halstead, A.J., Henricot, B. and Thompson, K., (2012) The domestic garden–Its contribution to urban green infrastructure. Urban Forestry & Urban Greening, 11(2), pp.129-137. Connop, S. (2012) The Beetle Bump: innovative urban habitat creation for rare insects. Essex Naturalist 29 (New Series), 89-94. Connop, S. Lindsay, R., Freeman, J., Clough, J., Kadas, G. and Nash, C. (2014) TURAS multidisciplinary urban landscape design guidance: Design, incorporation and monitoring of Barking Riverside brownfield landscaping. University of East London, London, UK. DCLG (Department for Communities and Local Government) (2012) National Planning Policy Framework [Online]. Department for Communities and Local Government. March 2012. Dolný, A. and Harabiš, F. (2012) 'Underground mining can contribute to freshwater biodiversity conservation: allogenic succession forms suitable habitats for dragonflies', Biological Conservation, 145(1), pp. 109-117. Dooling, S. (2009) Ecological gentrification: A research agenda exploring justice in the city. International Journal of Urban and Regional Research, 33: 621-639. Eversham, B.C., Roy, D.B. & Telfer, M.G. (1996) Urban, industrial and other manmade sites as analogues of natural habitats for Carabidae. Annales Zoologici Fennici, 33, 149-156. Eyre, M.D., Luff, M.L. and Woodward, J.C. (2003) Beetles (Coleoptera) on brownfield sites in England: an important conservation resource? Journal of Insect Conservation, 7, 223-231. Gemmell, R.P. & Connell, R.K. (1984) Conservation and creation of wildlife habitats in industrial land in Greater Manchester. Landscape Planning, 11, 175-186. Gibson, C.W.D. (1998) Brownfield: red data – the values artificial habitats have for uncommon invertebrates. English Nature Research Report No. 273. Peterborough: English Nature. Gilbert, O.L. (1989) The ecology of urban habitats. London: Chapman and Hall. Glaum P, Simao M-C, Vaidya C, Fitch G, Iulinao B. (2017) Big city Bombus: using natural history and land-use history to find significant environmental drivers in bumble-bee declines in urban development. R.Soc.opensci.4:170156. Groffman, P.M., Cavender-Bares, J., Bettez, N.D., Grove, J.M., Hall, S.J., Heffernan, J.B., Hobbie, S.E., Larson, K.L., Morse, J.L., Neill, C. and Nelson, K. (2014) Ecological homogenization of urban USA. Frontiers in Ecology and the Environment. 12: 74-81. Haase, D., Kabisch, S., Haase, A., Andersson, E., Banzhaf, E., Baró, F., Brenck, M., Fischer, L.K., Frantzeskaki, N., Kabisch, N. and Krellenberg, K. (2017) Greening cities–To be socially inclusive? About the alleged paradox of society and ecology in cities. Habitat International, 64: 41-48. Harvey, P.R. (2000) The East Thames Corridor: a nationally important invertebrate fauna under threat. British Wildlife. 12: 91-98. Kratochwil, A. and Klatt, M. (1989) 'Apoide Hymenopteren an ruderalstellen der stadt Freiburg i. Br. (BRD) - submediterrane faunenelemente an standorten kleinräumig hoher persistenz', Zoologische Jahrbuch für Systematik, 116, pp. 379-389. Lundholm, J.T. (2009) Plant species diversity and environmental heterogeneity: spatial scale and competing hypotheses. Journal of Vegetation Science. 20(3): 377-391. MacArthur, R.H. & MacArthur, J.W. (1961) On Bird Species Diversity. Ecology. 42: 594-598. McKinney, M.L. (2006) Urbanisation as a major cause of biotic homogenisation. Biological Conservation. 127: 247-260. McKinney, M.L. (2008) Effects of urbanization on species richness: a review of plants and animals. Urban Ecosystems. 11: 161-176. Öckinger, E., Dannestam, Å., & Smith, H. G. (2009) The importance of fragmentation and habitat quality of urban grasslands for butterfly diversity. Landscape & Urban Planning. 93: 31-37. Roberts, J., Harvey, P. & Jones, R. (2006) All of a Buzz in the Thames Gateway. Phase 1: Identification of the Brownfield Resource and Preliminary Assessment of the Invertebrate Interest. Buglife Report, Peterborough, UK. Robins, J., Henshall, S. and Farr, A. (2012) The state of brownfields in the Thames Gateway. Report produced by Buglife - the Invertebrate Conservation Trust. Salisbury, A., Armitage, J., Bostock, H., Perry, J., Tatchell, M. and Thompson, K. (2015) Enhancing gardens as habitats for flower‐visiting aerial insects (pollinators): should we plant native or exotic species?. Journal of Applied Ecology, 52(5), pp.1156-1164. SCBD (Secretariat of the Convention on Biological Diversity) (2012) Cities and Biodiversity Outlook. Montreal, 64 pages. Srba, M. and Heneberg, P. (2012) 'Nesting habitat segregation between closely related terricolous sphecid species (Hymenoptera: Spheciformes): key role of soil physical characteristics', Journal of Insect Conservation, 16(4), pp. 557-570.